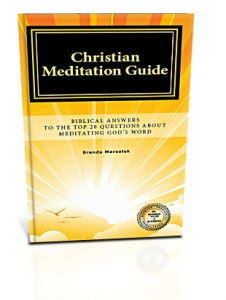 Christian meditation is based on the Word of God. empowers, believers to live a successful life. The Bible is the foundation and source of life for every Christian believer. The truths of the scriptures are the object of their meditation. Meditating on God’s Word manifests success. The Word of God is full of living power. (Hebrews 4:12) God’s Words are spirit and they are life. (John 6:63) It is through His words that God spoke creation into existence. 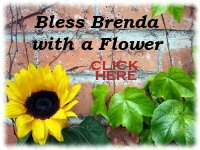 Christian believers focus their meditation on God Most High. In traditional meditation, the focus is on self. 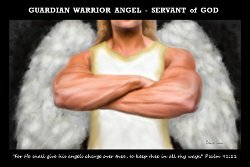 The object of focus may be referred to as the “higher self” or spiritual self. A physical item, such as an idol may be used as a representative object to focus on. Or a word or sound may be the object of focus while practicing traditional meditation. Meditation, for the Christian believer, is practiced so that their hearts and minds can be filled with biblical truths. It is a way to renew their minds and be transformed into the image of Christ. It helps them become more like Christ daily. 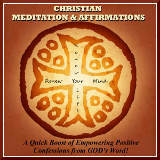 The Christian meditator fills their thoughts with the promises of God, and the ways of God, by meditating on His Word. Revelation of His truths connects and draws them closer into fellowship with the living God. Then, action taken on revealed biblical truths, manifests success and prosperity in their lives. The traditional meditator seeks to empty their thoughts by focusing on a simple mantra until they have cleared their consciousness of all thought as much as possible. The goal is to achieve peace and relaxation. Reaching and tapping into one’s higher self may result in a greater conscious level of peace, awareness, and relaxation. Yet even at the peak of one’s highest level, they are nothing without God. It is God, the creator of the heavens and earth, who is the source of all; the beginning and the end. The Word of the Lord endures forever. It is in Him that we live and move and have our being. It is with God that all things are possible and it is with God that nothing is impossible. Now that you know this: Why not open the Word of God and meditate on His promises and allow them to manifest in your life?